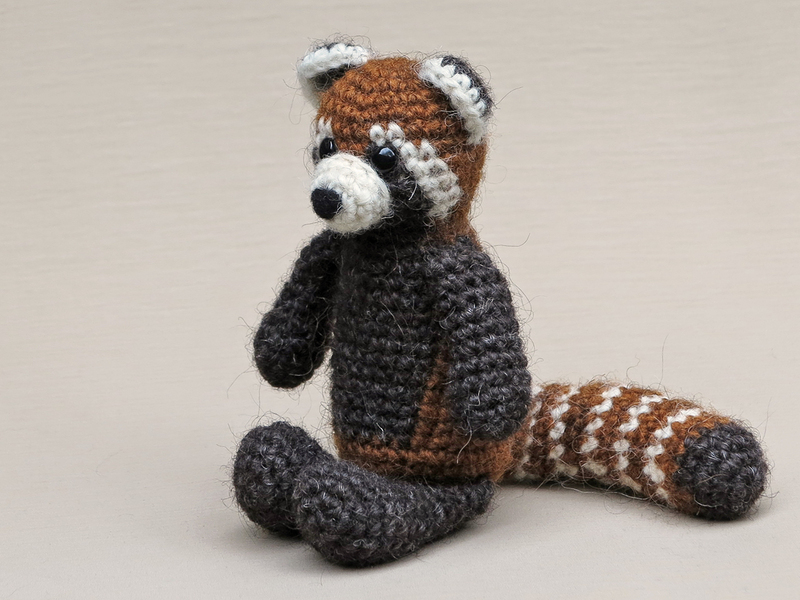 And here is Bodo, a sturdy and wooly crochet red panda. This red panda amigurumi has turned out exactly as I hoped. I absolutely love the result and am very proud to share this pattern. 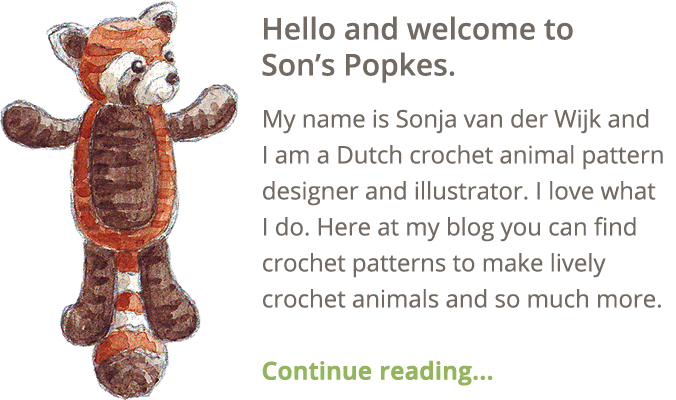 For this crochet animal, using the right colours was very important to me. I only wanted to use three colours of yarn, so I had to make compromises in the design. Should I give him dark cheeks, or rust ones? And the tail, dark striped or white? I looked at many red panda pictures online and decided a face with dark cheeks was most characteristic. As everyone knows, red pandas have a very recognizable tail. It has a dark tip and light stripes. However, the stripes are not as white as the white in the face and ears, so especially this part was a bit hard to do in my three colours. Initially I thought of making a dark striped tail but that didn’t work out. Bodo looked in whole with that tail, far too dark. I imagined a tail with white stripes would look too light, so I decided to combine two rounds of rust, with one round of white, and it had an amazing result. The white doesn’t look too bright and the result is very striking. Bodo is 5,1 inch/ 13 cm tall when sitting. He’s made with a 100% wool, called Lett Lopi. I strongly recommend the use of a wooly or fuzzy yarn, because that gives a very smooth result if you work in multiple colours. 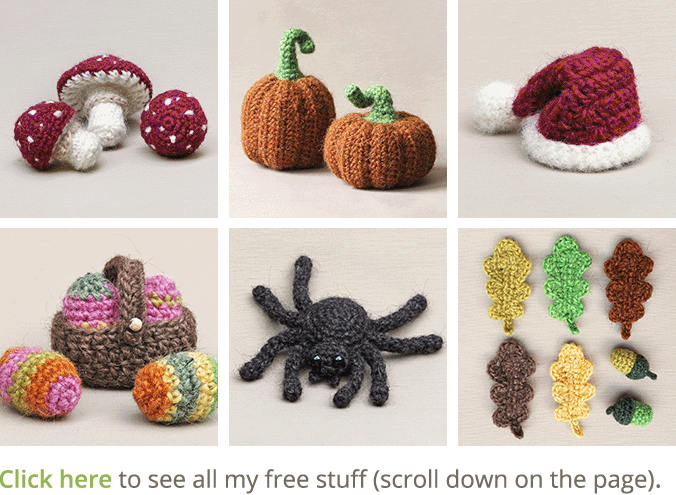 Here is another picture of Bodo and below it you can find info and links to the crochet pattern. Where to get the pattern. 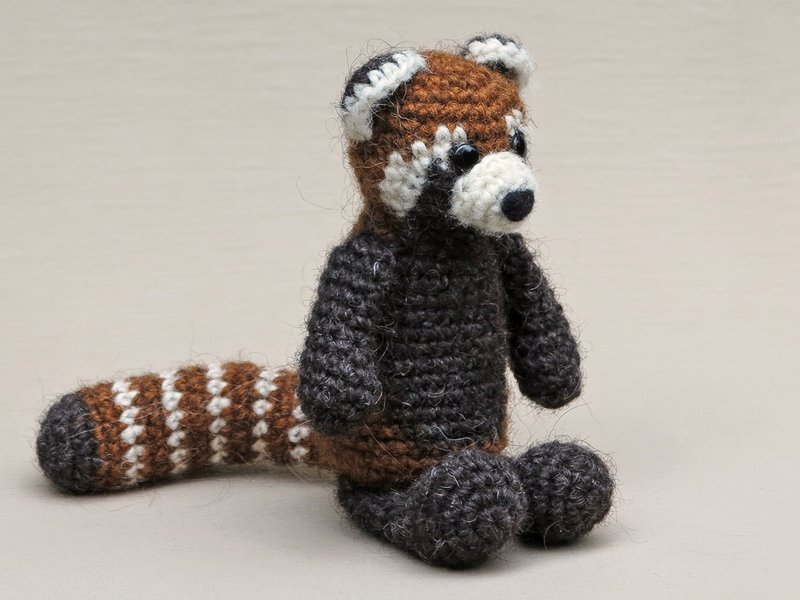 The pattern for this sturdy and wooly crochet red panda you can find in my shop and in my shop at Ravelry. 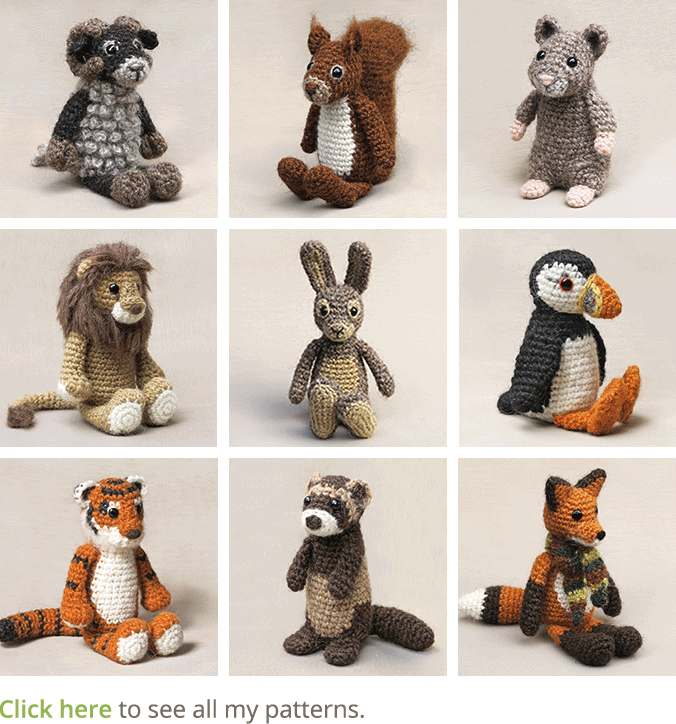 The pattern contains a clear description of how to crochet and attach the animal with example pictures at the bottom to help you get everything right. The colour changes for the face are written down in the stitch colours, to make changing colour extra easy. In the pattern you can find what materials you need, the Lopi colour numbers, in short, everything you need to know to make this wild friend. Dit bericht heb ik eerder gemist, zie het nu pas. Wat een dotje is het geworden! Ik heb hem gepind, ga eens goed zoeken naar de juiste garen. Ik vind hem super geworden, knap werk! Blij om te horen dat je hem mooi vindt. Hier koop ik mijn Lett Lopi wol. De kleurnummers die je nodig hebt staan in het patroon, roest, wit en de aller donkerste bruin die er is heb ik gebruikt. Dankje voor je compliment, groeten Sonja.